As 2019 gets into full swing, many of us are looking for ways to be more efficient at work. If you use a Chromebook as part of your job, you’re in luck. 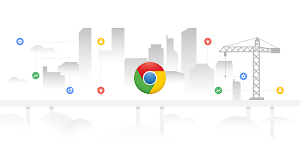 We’ve spent a lot of time thinking about how to make things faster, easier, and more organized for cloud workers, and they’re all built into Chrome devices. Here are five tips to help you make the most of working on your Chromebook in the new year. 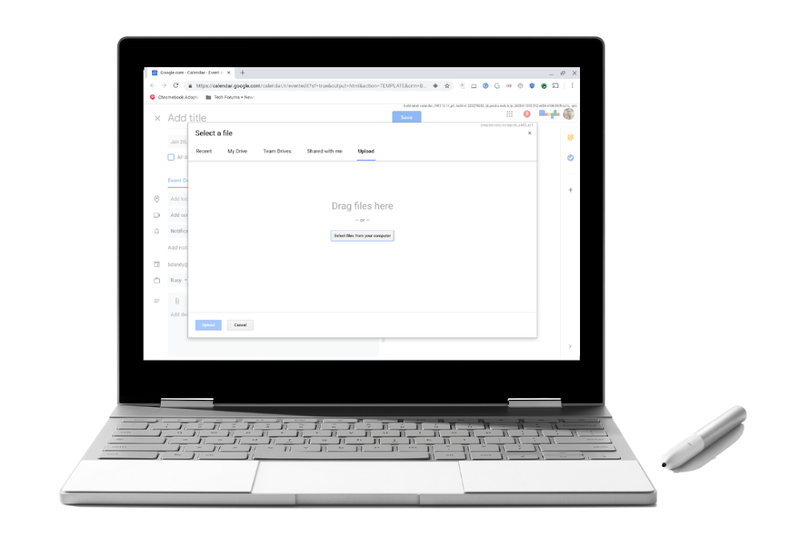 With G Suite, you can attach meeting docs, spreadsheets, presentations and other resources, directly to Google Calendar invites and events, for more organized and efficient meetings with colleagues. It can be challenging clicking back and forth between multiple tabs and windows. Here’s how you can take a glance at open windows, hop between tabs, and work quickly across them all. See all open windows: Swipe up or down with three fingers. If you have Australian scrolling turned on, swipe up. If you have traditional scrolling turned on, swipe down. Move between pages: To go back to the page you were previously on, swipe left with two fingers. To go forward to a page you were on, swipe right with two fingers. Switch between tabs: If you have multiple browser tabs open, you can swipe left and right with three fingers to switch between tabs. Open link in new tab: Point to the link, then tap or click the touchpad with three fingers. Close a tab: Point to the tab, then tap or click the touchpad with three fingers. On a Chromebook, you can toggle the CAPS lock feature on and off by “tapping alt + (search key)”. The search key is located on the left side of the keyboard, above shift. Turning caps lock on allows you to type those emphasized doc headers without having to hit and hold shift with each keystroke. It may seem like a small timesaver, but every second counts. No Wi-Fi, no problem. 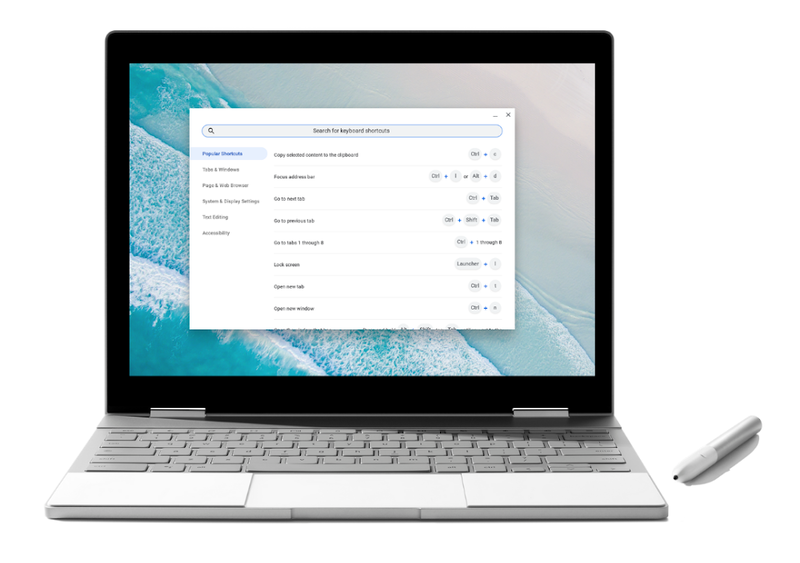 Remain productive offline by using G Suite or working in the Android version of your required application, which you can download from Google Play on your Chromebook. Check the box next to "Sync Google Docs, Sheets, Slides & Drawings files to this computer so that you can edit offline." You’re all set. Anything you edit offline will update automatically once you’re back online. Want to learn more? Check out additional Chromebook tips, and find out how Chromebooks can benefit businesses of all sizes.